~ General Manager Brian Gutekunst doesn’t know for sure who will still be available at pick #12 on Thursday night, April 25th. But he has a good idea who will not still be available. He also must know that none of those first-round quarterbacks will be his selection, regardless of how the first 11 picks play out. 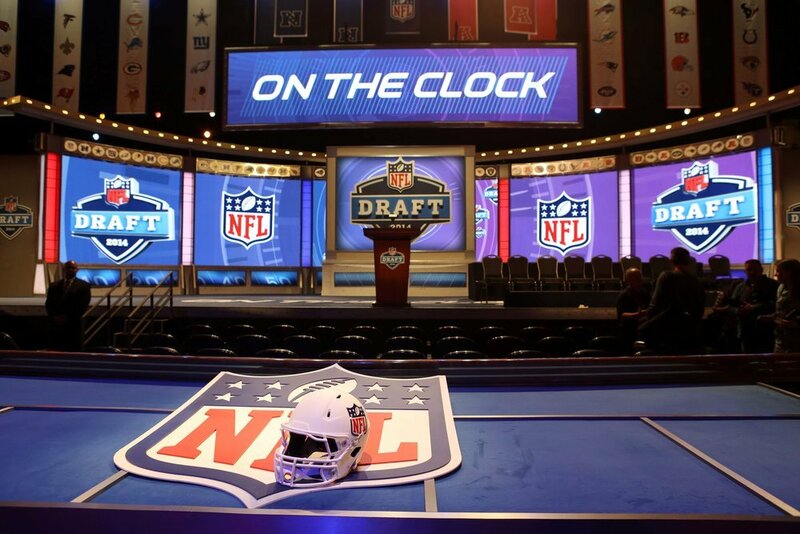 So factoring in those players who you can pretty much cross out, here are my “5 most likely” names that we might hear announced by commissioner Roger Goodell announces the 12th pick in the 2019 NFL Draft. Rated 4th overall on NFL Network Draft Analyst Daniel Jeremiah’s Big Board, and 5th overall on ESPN Scouts Inc ratings with a 92 grade, Wilkins might be too good of a value to pass up if he’s still available at #12. He would combine with Kenny Clark and Mike Daniels to give the Packers three fantastic defensive linemen for Mike Pettine to deploy. You all saw him help Clemson demolish Alabama to win the NCAA National Championship in January. He could have gone pro last year and been a top-ten pick, but he wanted to finish the job with his brothers at Clemson. Remember, pressure up front into quarterbacks faces, and big bodies gobbling up blockers makes things much easier on the linebackers and defensive backs. Wilkins also would be great insurance as Daniels could be playing his last season in Green Bay on the final year of his contract. From Scouts Inc: “Wilkins was a three-year starter at Clemson, racking up 243 tackles, 41 tackles for loss and 16 sacks. He’s scheme versatile and has experience playing inside and outside. He has a quick first step, very quick hands and is a high-motor pass-rusher. He knows how to work the edges of blockers. Wilkins has fast eyes to locate the ball as a run defender and also has great awareness and discipline as a pass-rusher. He has excellent range for a player with his size and chases the run with great effort. Rated tie-10th overall from Scouts Inc (91 grade), and 14th from Jeremiah, Bush is almost identical to the other inside linebacker Devin, White, from LSU. White appears to be a long shot to last until pick #12, because he is from LSU and he is one inch taller than Bush. But Bush might be a better NFL player as those physical differences matter less than between the ears and the heart. That’s no knock on White as he would be a fantastic pick for the Packers if he were to last that long. From Jeremiah: “Bush is a little undersized for the position (5-11, 234 pounds), but he makes up for it with instincts, twitch and production. He’s excellent as a zone dropper against the pass — quick to key routes and get a jump on the ball. In man coverage, he has the speed to run with tight ends and running backs. This one is shaky as many mocks have him gone before 12, but those that do not have him gone before 12, usually have him going at 12 to the Packers. New England feasted on Super Bowls with the possible greatest tight end of our time Rob Gronkowski. Kansas City features today’s best tight end Travis Kelce, and they came one offsides call from beating the Patriots and making it to this year’s Super Bowl. Last year’s Super Bowl was won by the Philadelphia Eagles and they have a great tight end in Zach Ertz. Last season, Ertz broke the all-time NFL record for catches in a season by a tight end. Tight ends are becoming more important in today’s offenses and that might be part of the reason why the Packers brought back Jimmy Graham, surprising many people. Ranked 5th overall by Jeremiah, and 7th overall by Scouts Inc, it seems unlikely that big Hock will last until the 12th pick. But NFL GM’s don’t go off of D.J. or Scouts Inc. lists, so there is a chance. Hockenson never put up monster numbers at Iowa. We might think that edge won’t be considered with a first round pick now that the team has added the Smiths in free agency. However, both Smiths are very versatile, and Sweat is extremely fast running a 4.41 at the Combine. He gets around the edge even faster than the 2009-2012 Clay Matthews version. However, he won’t be able to just run around the edge against NFL offensive tackles. He will need to get stronger and develop some more moves. I am not totally sold on Sweat, or Florida State’s fast edge Brian Burns. This player is not a guy you see mocked to the Packers yet who is usually available at 12 in most mocks. But I would not be shocked to hear his name called at that spot. Ranked tie-5th (with Wilkins) from Scouts Inc with a 92 grade, and 9th by Jeremiah, Gary ran a 4.58 forty at the combine, at 277 pounds. That’s not a guy that tight ends want to pass protect against on the edge. With the versatile Smith additions, adding a player like Gary could give Pettine so many options, his defense could give opposing quarterbacks nightmares against that talented front. There’s certainly a better chance than not that the Packers pick at #12 will be someone other than one of these five players. There’s also a chance the Packers aren’t the team who picks at #12 when all is said and done. Gutekunst could trade down. Or he could trade up. If he stays put, I would love Ed Oliver to be the pick, but I don’t think there’s a realistic chance he is still there at 12. Also, despite Bush being my favorite guy on this list, I don’t think the Packers will take him as this GM is the same one who surprised (disappointed) all of Packer Nation last year when he reached up to take inside backer Oren Burks from Vanderbilt. I doubt they are ready to relegate him to an afterthought already. Blame Martinez is one of the best players on defense at inside backer already, although he is in the final year of his rookie contract. Of these five players, if one of them were to be selected by the Packers, which one would you select? I would have had an offensive tackle on here, but I still don’t know for sure what the Packers plan is for the new guy from Denver. Will they move him to RT if (when) Bulaga goes down? Do they think Spriggs can finally put it together? I sure don’t. But some linemen blossom later….